The Vision is an insert stove from Carbel. Because its tall you have a view (or should I say Vision?) of the full height of the flames, which you normally do not get to see in today's shorter stoves. 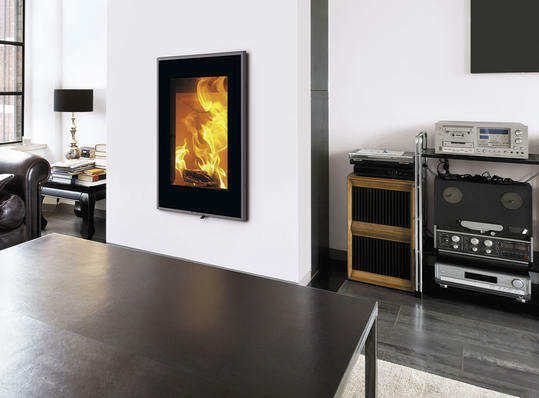 Like its freestanding cousin the Vision insert is a woodburner, the Vision insert is 80% efficient and has a nominal heat output of 7kW. With an output range of 4-10kW The Vision is suited to the medium sized room and is able to tick along slowly or you can fire it up for the larger room or if its particularly nippy.